Welcome! I'm Isabel De Los Rios. My goal is to help you feel great about your body, your weight and your health. How exactly will I do that? I'll give you the best and most up to date nutrition tools and information. I believe anyone can safely and effectively shed unwanted fat by making a few simple changes. I know how you feel about dieting, because I've been there. 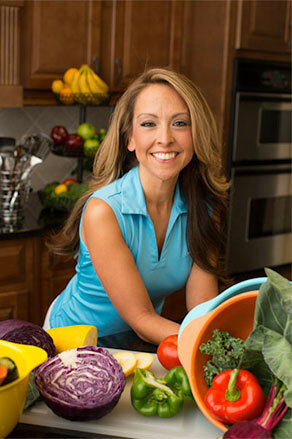 My passion for nutrition started as a teenager. I was overweight and the daughter and granddaughter of Type 2 Diabetics. I was told I was doomed to suffer from the same health problems as the generations before me, but I was not willing to sit around and wait for this grim prediction to become a reality. I pored over every nutrition and diet book available in search of the answers to my family's weight and health problems. This led me to personally seek out doctors and health professionals that were using nutrition to get great results with their patients and clients. I have since reached and maintained an ideal weight, have vibrant health and show no indication that hereditary conditions like diabetes will affect me. I am a wife and the mother of 2 beautiful boys. I strive to show not only my family how wonderful healthy living can be, but to share that information with every person who needs my help. 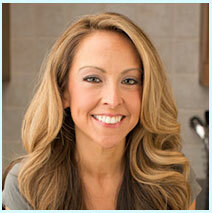 I'm a certified nutritionist and will share all of my food knowledge and thousands of delicious recipes with you. I'm an exercise specialist who has already helped over 500,000 people from around the world lose incredible amounts of weight and regain their health. As an international best-selling author, I have earned a reputation as the "go-to girl" when it comes to fat burning nutrition from several of the most popular fitness professionals around the globe. I co-founded Beyond Diet, an easy eating plan that you'll actually want to follow. Through community support, online tools and constant communication, our members have fit back into the clothes they love and changed the direction of their health. We are constantly updating you on the latest and greatest BD has to offer through our social networks - Get free recipes, fitness tips, inspirational messages and more!